Now it’s possible to live in the nation’s hottest hot spot! 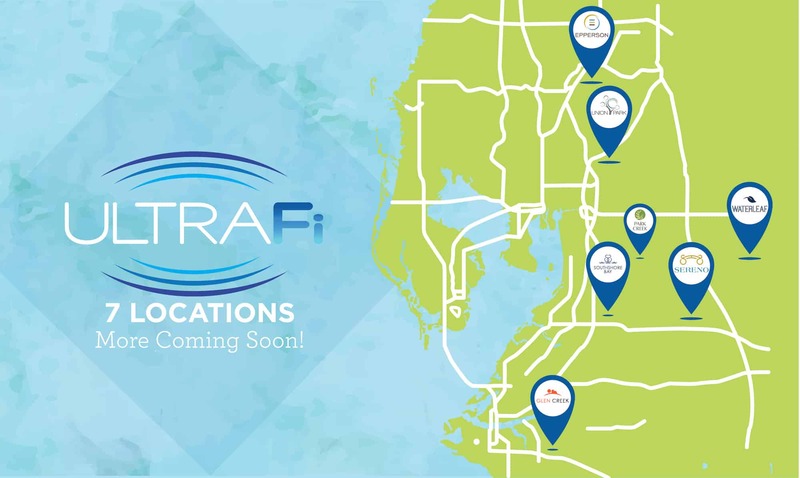 ULTRAFi Communities by Metro Places are a first-of-its kind residential environment where every home is a Smart Home and every resident enjoys the fastest WiFi speeds in North America. 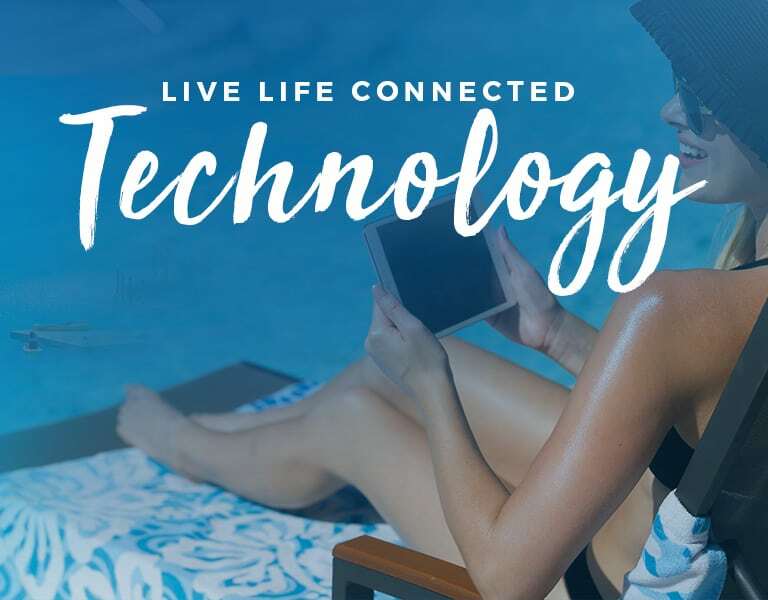 With up to 1 Gigabit of speed, it is now possible to play, watch, game, surf and stream by the pool, on the trails, at the tot lot and right inside your home without delays or disruptions. Available only in select Metro Places communities. An outstanding and impressive 100/100 Mbps of speed is included as part of your homeowner dues. Possible to go all the way to 1000/1000 Mbps. See details and pricing at model homes in any of our ULTRAFi communities. This premier amenity is only available in select Metro Places communities – 7 locations now with more coming soon. Complimentary in-home router with power up to 1000/1000 Mbps (1 Gigabit of speed!) PLUS an extra access point is now provided to boost your WiFi signal throughout your entire home for better, broader coverage. Each new resident to receive a free 6-month promotion which includes wireless security camera and the ability to access your smart controlled camera, light switches and thermostats from your smart device with the free app. What is an ULTRAFi Community? An exclusive community designed from the ground up to future-proof the modern lifestyle. It is the first and only residential environment where every homeowner enjoys up to 1 Gigabit of ultra-speed in all recreational areas throughout the neighborhood plus moves into a home that has been designed as a Smart Home. Total connectivity throughout your community, in your home and at your fingertips. Can I get ULTRAFi outside of Metro Places? No, you will not find this anywhere else. Thankfully ULTRAFi technology is offered in select Metro Places communities with more than technology in mind. Beautiful homes, modern floor plans, green spaces, resort-style pool, open-air club house, manicured landscaping, extensive trails… it brings the best of living well and living connected together. What is a Smart Home or Home Control? A home that gives you the ability to control lights, temperature, security and entertainment from one smart device via WiFi whether you are home or away. What is Mbps, what is a Gigabit and how does this relate to bandwidth and speed? Mbps (Megabits per second) is the measurement of how much data can flow through a network connection, also known as bandwidth flowing in and out via wireless connection, or WiFi. 1 Gigabit = 1000 Mbps. A higher Mbps means more data can pass which means faster download and upload times. What is the Mbps in each home? Every home in an ULTRAFi Community is equipped with a complimentary router capable of delivering up to 1 Gigabit of internet speed (a $150 value!) So while you can go all the way up to 1000/10000 Mbps, speeds of 100/100 Mbps are included with your monthly homeowner dues at no additional charge. It is up to you to increase to higher speeds that are available at low, competitive rates. See community model homes for details and pricing. Regardless of individual plan, all residents enjoy up to 1 Gigabit of WiFi speed throughout the common areas which is exclusive to an ULTRAFi Community. My current WiFi plan seems fine, why should I have more? We are moving towards all things being connected to WiFi including current devices like tablets, computers, TV and gaming plus homes in an ULTRAFi Community are designed for Home Control with each of these amenities pulling from your WiFi. These multiple devices and features work best at higher Mbps speeds. Are there any ULTRAFi incentives or promotions? Yes! All new residents will enjoy an exclusive 6-month promotion which includes a speed boost of 100/100 Mbps in the home, wireless security camera and a Home Management Hub allowing for Smart Home automation along with a free app to control your in-home smart devices. Visit an ULTRAFi Community today for more information. Please be aware that many factors affect actual throughput speed, including the performance and configuration of your PC, the server speed of the websites you access, wireless connections and internet congestion. Metro Development Group and Spectrum Networks do not guarantee the same connection speed to every web destination.